Innovative demonstration of utilization of biobased CO2 as feedstock for synthetic fuels and industrial chemicals. INERATEC delivers core technology for the synthesis. Mitigation of climate change will require major changes in the energy system and industrial production. 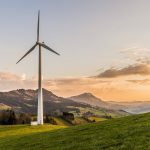 Worldwide major investments on renewable energy and carbon efficiency are booming and also new business opportunities are seen globally in bioeconomy based on various biogenic sources. Carbon capture and utilization (CCU) is also considered as an interesting technology concept in the future carbon-restrained world. 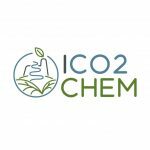 The main aim of the project Bioeconomy+ is to demonstrate the utilization of bio-based CO2 as a raw material for synthetic transportation fuels, biogas upgrading or industrial chemicals. Investment on mobile hydrogen production unit will be made in order to integrate the existing synthesis unit and industrial CO2 streams as a complete pilotscale research platform. Demonstration with the developed novel platform will be conducted within e.g. bio-product mill or in biogas production. The developed infrastructure will remain at our partner VTT for later commercial disposal by interested companies. Besides technical demonstrations, the techno-economic evaluation of the industry-integrated P2X systems will be conducted and further scaling-opportunities evaluated.